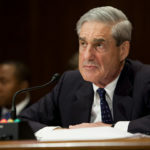 After Special Counsel Robert Mueller abruptly walked away from his own Trump-Russia investigation, Donald Trump’s handpicked Attorney General William Barr acted in such cartoonish fashion, it became clear that Mueller was being sabotaged. The question was what steps Mueller had taken to keep his investigation going without him, and how well those steps would work. Today we got a new piece of the puzzle. Back when Robert Mueller was still running the Trump-Russia investigation last month, he asked for a multi-week delay in responding to a Washington Post request to unseal records in the Paul Manafort case. Considering that Manafort has already been sentenced and is finished at the federal level, the only reason for the government to object to the WaPo request would be if that same evidence is being used in other ongoing cases. Sure enough, the federal government made a lengthy court filing today, objecting to the request, on the grounds that criminal cases are indeed still ongoing. So what are these ongoing criminal cases? We have no way of knowing. These could be federal cases against people connected to Manafort. For instance, just days ago, Manafort associate Greg Craig was indicted by a federal grand jury. Or it could involve bigger names from the Trump campaign, but we’d have no way of knowing. For that matter this could relate to the fact that New York State is still prosecuting Manafort, and there could be an evidence crossover between the federal and state level. The upshot is that this court filing is the latest development which confirms that, one way or another, Robert Mueller’s investigation is still moving ahead without him. The Craig indictment proves that William Barr was misleading us when he claimed that no more indictments were coming from the Mueller probe. The ongoing federal grand jury activity involving Roger Stone, and the mystery foreign government-owned financial institution, also reveal that additional upcoming indictments are still in play. The question is whether William Barr is willing or able to stop any of it.